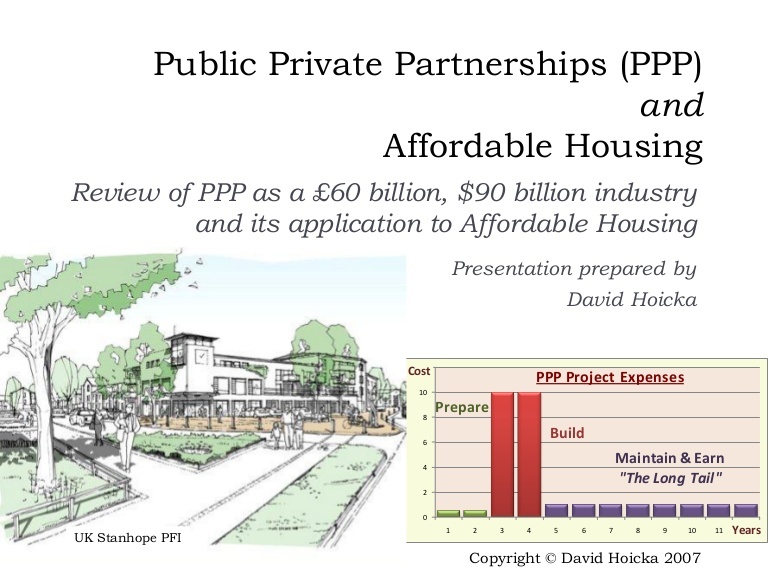 Home > September 2017 > Will Public Private Partnerships - PPPs in Affordable Housing Succeed? Will Public Private Partnerships - PPPs in Affordable Housing Succeed? Why PPP in Affordable Housing? Urbanization is central to a country’s economy – and in India, the urbanization rate corresponds to 60% of the country’s GDP. For smoother transformation of a developing nation like India, the need of the hour is to manage the process of urbanization. The rapid pace of urbanization has given rise to many grave issues – one of them being housing shortage. Urban land in India, constituting 3.1% of the country’s land area, presents a complex situation where high urban densities co-exist with sub-optimal utilization (India Habitat Report, 2016). The inward migration of massive chunks of population from rural areas and peri-urban areas to urban areas in search of livelihood and better living conditions is continually exacerbating the shortage of housing in our cities. As a result, a new socio-economic category known as the ‘urban poor’ has emerged. The Center and States have taken up the challenge of providing ‘Housing for All’ in India’s cities and towns, and several housing policies and missions have been launched to provide shelter to this new category of citizens. Building bye laws and building codes have been modified, loan disbursals have been eased, and interest subsidies have been provided in the banking financial system to reach out to this class of the population. Though the recent census data highlights that the housing shortage rate in India’s urban areas declined from 1.63 million to 0.39 million in 2011; nevertheless, the larger problem persists. In India, private sector players, which include developers and housing finance companies, tended to primarily target housing for the HIG (higher income group), resulting in sustained supply and competition in this segment. While the Government is, on the other hand, focused on providing shelter to the poor and EWS (economically weaker sections), the results of these efforts have been largely insufficient. Also, the housing requirements of the LIG (lower income groups) are being grossly neglected, and there is a serious dearth of affordable housing to cater to this segment of society. By combining the strengths of private players with those of the public sector, the challenges of providing affordable housing can be overcome. Superior outcomes are achievable via case-specific PPP structures with appropriate allocation of risks and value creation. Thanks to incessant demand, the housing sector in India is one of the fastest-growing industries in the country. It is one of the biggest employers, and has direct or indirect impacts on all sectors of the economy. In fact, the real estate industry is the 3rd-largest contributor to the Indian economy, and the housing sector contributes 85% of the total real estate activity. As per JLL estimates, the urban housing shortage till 2022 stands at 15.97 million units. By Government estimates, the shortage in 2012 stood at 18.78 million units, of which, 96.5% (estimated by the end of 2017) is in the LIG and EWS combined. A report by the Technical Group on Housing Shortage (TG-12) mentions that states like Uttar Pradesh, Maharashtra, West Bengal and Andhra Pradesh have higher housing shortage, accounting for to 7.61 million units. It is correctly inferred that though there is significant shortage of LIG and EWS category housing (17.96 million units in 2012), the supply in urban areas - which largely caters to MIG and HIG category buyers – represents a significant inventory overhang and is not selling well at all. · Lack of clarity and transparency in the system. The Government’s mission of ‘Housing for All by 2022’ seeks to provide a credible and viable answer to this pressing question, and focuses on single-window clearances, construction of 84,460 affordable houses in 5 states of India, and various other efforts to create low-cost housing. These initiatives have definitely had a positive impact on the housing sector. However, not much of a dent in the overall affordable housing shortage has so far been made. According to a report by the Ministry of Housing and Urban Poverty Alleviation (MHUPA), urban housing stock has increased from 52.06 million to 78.48 million units in the past decade. Another review observes that the skyrocketing prices of housing stock and congestion of stock in limited areas have contributed significantly to keeping a majority of the urban poor homeless. The Union Budget of India 2017-2018 has led impetus to affordable housing and the infrastructure segment, and the announced tax benefits and proposed changes in the long-term capital gains tax will boost players’ confidence in these projects. This is an important step to attracting private players to this segment and thereby improving the supply of low-cost houses in India. The challenge of providing affordable or inclusive housing exists all across the world. A distinct ‘housing trap’ exists as even rental housing is becoming increasingly expensive, with house ownership becoming a distant dream, insufficient social housing creation and the number of wait-listed applications growing every year in many countries. · In Singapore, 82% of the population resides in social housing. The country’s housing policy emphasizes the ownership rather than the rental model, and provides consummate subsidies to first-time house buyers. · Another notable practice can be observed in Seoul, the capital of South Korea, where older housing stock becomes available to low income households by redeveloping it in appropriate locations under the concept of inclusive planning. In Philippines, a penalty is imposed if land is kept idle for too long instead of making it available for housing development. · In Spain, FSI incentives have enabled developers to sell affordable units at a 1/3rd price compared to the prevailing market rates. To attract private developers to affordable housing, the Indian Government recently drafted a new policy on ‘Public Private Partnerships for Affordable Housing’ in an attempt to overcome the challenges and maximize financial gains by tapping the potential of such projects. The new policy has devised various models of PPP to achieve these gains and moderate associated risks. The models are prepared for two cases – the first being for instances where the Government leases the land, and the second for when a private developer has to identify the land. The second case is further bifurcated into two scenarios. In the first scenario, development is carried out in partnership (the Analytic Hierarchy Process or AHP system) and in the second, when development is carried out on the basis of the Credit Linked Subsidy Scheme (CLSS). The policy also talks about several other features like cross subsidy, fast approvals, etc. If both the market risks and sales are high, this policy will ensure a successful PPP model in the affordable housing segment. 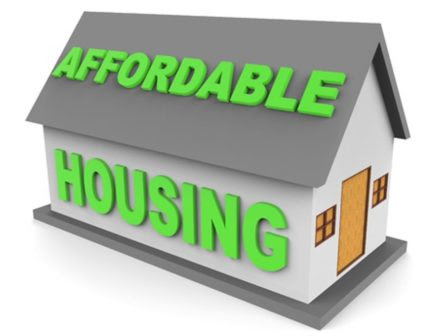 Affordable housing refers to housing units that the section of society whose income is below the median household income can afford. While the term ‘Affordable Housing’ has been bandied about extensively and this segment is inherently very promising, the multiple associated concerns have in the past caused most developers to divest in this sector. The biggest challenge in this sector is implementation against a backdrop of a very unclear policy framework. Other constraints are the lack of supply of developable land at reasonable prices, higher construction costs, unsupportive development control norms – and, not least of all, lack of easy access to home finance for the low income groups. Though the Government is working hard towards addressing these issues by taking strategic steps, the policy framework must be strengthened further to stimulate growth and deliver sufficient relief to LIG home buyers. 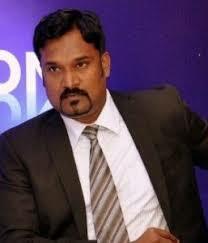 Implementation must be simplified and clarified if more investors and developers are to be attracted to this sector. At the end of the day, affordable housing provides a plethora of opportunities to all stakeholders, and the private sector can bridge the deficit by introducing innovative construction practices which can reduce costs and improve project financing, marketing and sales. Even before the ‘PPP Policy on Affordable Housing’ was announced, many Indian states had policies which attempted to effectively implement affordable housing schemes. In the 2001-2006 policy period, states like Maharashtra, Uttar Pradesh, Gujarat and Andhra Pradesh made first attempts to formulate township policies which included provisions for affordable housing, as well. Since then, there have been many changes and reforms in these policies. For instance, Andhra Pradesh’s latest affordable housing policy suggests four different models in which private developers are encouraged via fast-tracked clearances and approvals, FSI incentives, timely payments and the flexibility for developers to determine the sale price of the affordable houses (with approval from the authority). It also suggests a rental housing model wherein rent would be fixed by the Government. Benefits such as exemptions in service tax, trade license fees, stamp duty etc. are provided for affordable rental housing units. Andhra Pradesh’s development control regulations also include an allocation of 10% of total built-up area for LIG and EWS housing in all townships, group housing and gated community projects. Alternately, the regulations call for allocation of proportionate land to the Government, to be used for public welfare in the form of housing or civic infrastructure, urban open spaces, etc. In Maharashtra, a special Township Policy was formulated in 2004 to attract private players to cater to the demand for LIG and MIG housing. However, this resulted in only 17 projects in 11 years (2004-2015). After the state took a serious look at this shortfall in implementation, amendments were proposed in the policy. The new ‘Housing Policy and Affordable Housing Plan’ unveiled in 2015 targets 50,000-100,000 affordable houses to be constructed every township, each township must have an area of 40 hectares, and there can be as much as 100% of permissible FSI if the area has a sufficient potential and can potentially achieve realistic targets. Also, ‘in-situ’ slum redevelopment projects with private participation in the state provided 1,592 dwelling units for eligible slum dwellers by leveraging the locked potential of public land under slums and including them as formal urban settlements. The project was executed in eight packages consisting of eight locations in Ahmedabad city (Gujarat) and provided 1,592 dwelling units of about 27 sq. carpet area with basic civic infrastructure like water supply, sewerage system, internal road connectivity with street lights, etc. 83 eligible slum dwellers owning commercial spaces were each allotted shops of 15 sq.m. carpet area. This project’s USP was that additional FSI and Transferable Development Rights (TDR) were generated and awarded to the private partner, which made the slum redevelopment project financially viable. The private partner provided the eligible slum dwellers rental transit accommodation for the entire construction period @ INR 6,000 per month. The success of affordable housing initiatives depends on the proactive involvement of various stakeholders, including private sector players, operating with a clear roadmap of roles and responsibilities. Innovative PPP models must be explored to yield win–win scenarios for all involved partners and encourage private developers to participate more in this competitive market. As per the PPP policy, both ownership and rental models backed by an institutional structure should result in the right kind of housing supply to reach its designated end users effectively. States should have their own township policies earmarking dedicated zones for affordable housing. Incentives in the form of land lease, FSI, reduction in stamp duty and exemption from other associated taxes will significantly reduce project costs. With the deployment of the Real Estate (Regulation and Development) Act [RERA] in 2016, which also focuses on timely completion of projects and adoption of innovative technologies like prefab and pre-cast housing, there is a hope for effectively covering the demand/supply gap. Unlocking older housing stock by redeveloping dilapidated structures and adding them to the overall supply of affordable housing will help in a big way. If the PPP policy is able to regularize, monitor and encompass the all-important principles of inclusiveness, equity, environmental sustainability and transparency, they will certainly succeed.